Brant Lake is about 6 miles long, surrounded by glacial mountains, perfect for any type of boating, sailing, ice fishing and snowmobiling. 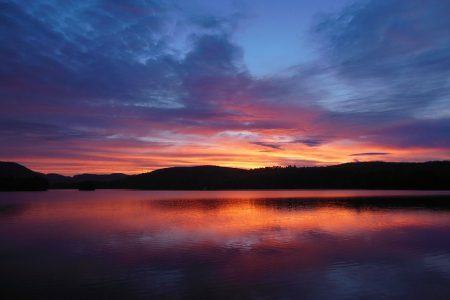 Both classic Adirondack summer camps and beautiful year round vacation homes line the shoreline, while the natural mountain vistas remain untouched. Hiking at Pharoah Mountain Wilderness area is nearby, or stop at The Hub to gear up for a bike ride around the lake where the road hugs the shoreline! Great fishing all year round as the lake is stocked annually with brown and rainbow trout and is home to trophy large and small mouth bass. Off season check out Jimbo’s Club on the Point to hang with the locals for cocktails in the lounge or fine dining overlooking the lake. You might even get a glimpse of a vintage Garwood boat where a local family has applied technological advancements in marine engines and boat construction to renovate and reproduce classically styled, mahogany watercraft that are as thrilling to drive as they are to look at.